Your rabbit is a herbivore. Herbivores are animals that eat plant material. No chicken schnitzel for this customer! A correct diet has freshness and variety. Your favourite ball of fluff needs several items from the supermarket's fruit and vegetable section, minerals, vitamins, fiber and water. Such a wide menu provides all the nutrients your pet requires. Let's start with the thing that sustains all life. In the case of rabbits, it's very important that they have fresh water available at all times. 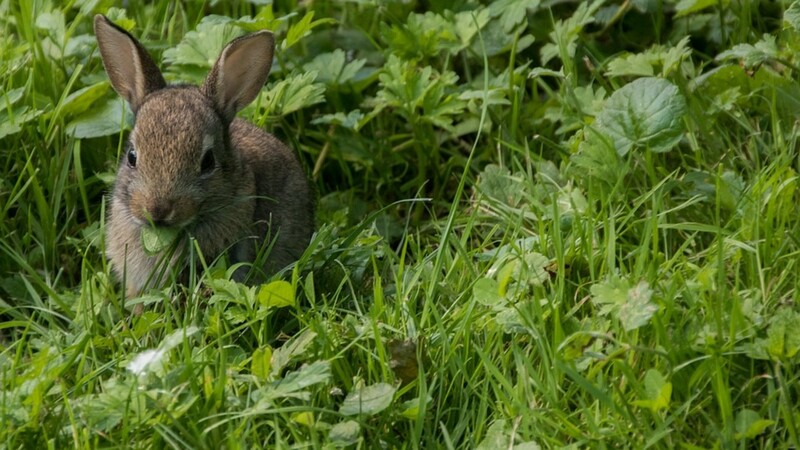 Without it, they die very quickly, especially during hot weather or when the rabbit is very active. Make sure that the bowl stays topped up and clean. Strongly consider using purified, bottled water. 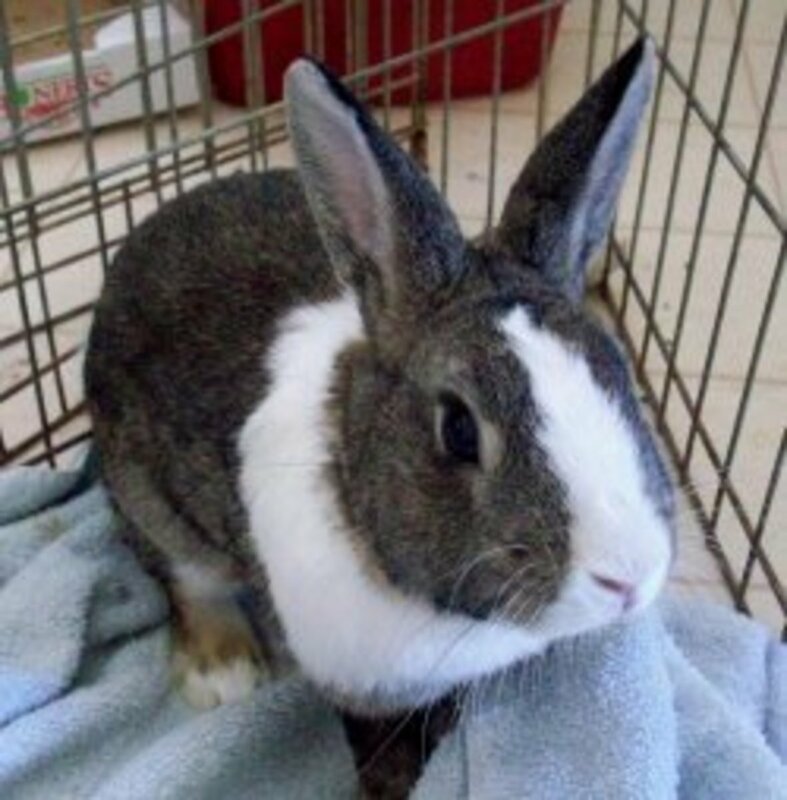 Tap water contains chemicals that has no business being inside your rabbit. 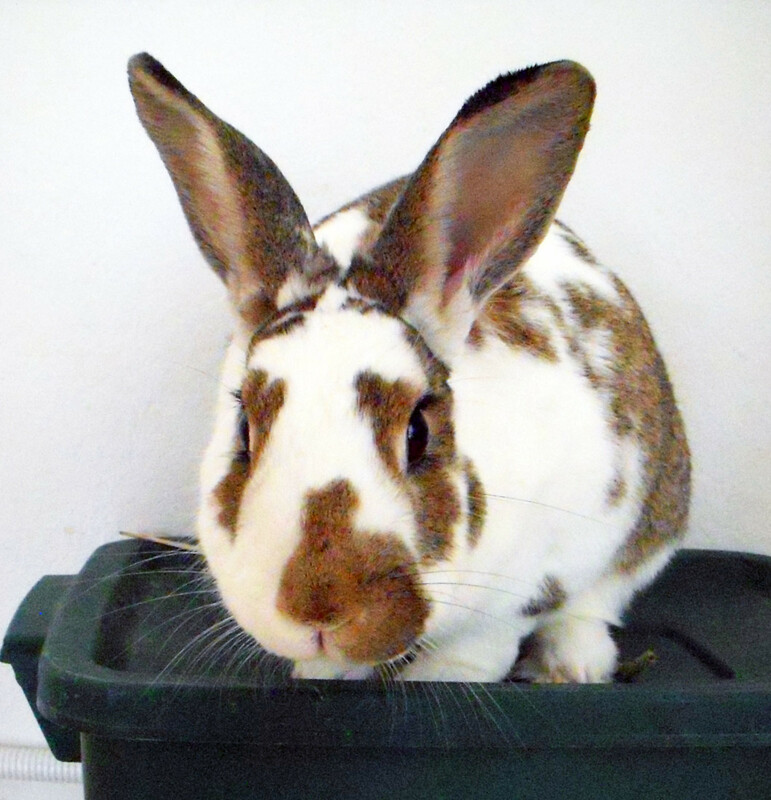 Rabbits are natural grazers that need a nutritious high-fiber diet. Both this natural behaviour and need can be whacked with one stone—grass hay. 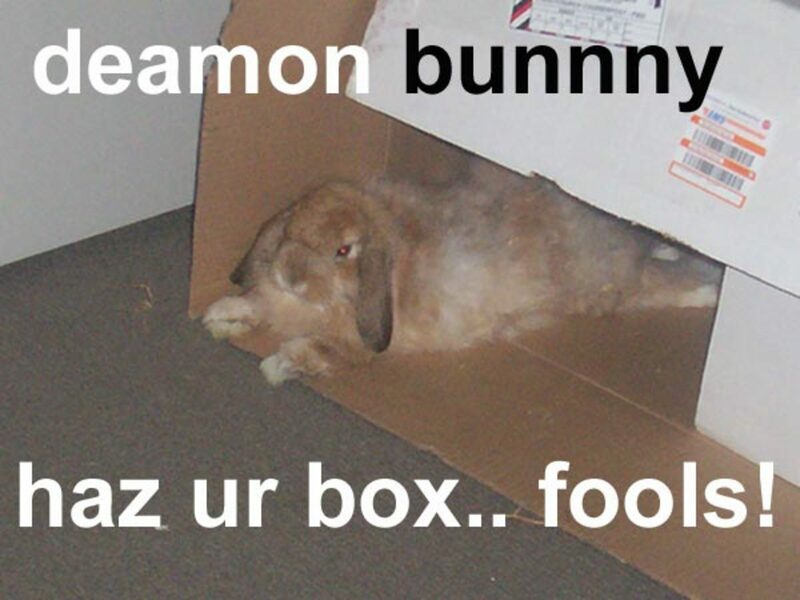 Your bunny should have access to this food at all times. There are several types available. Don't purchase more than a two-month supply A dry storage area (away from the sun) keeps hay edible. However, don't store in airtight bags or containers, which could cause mould. 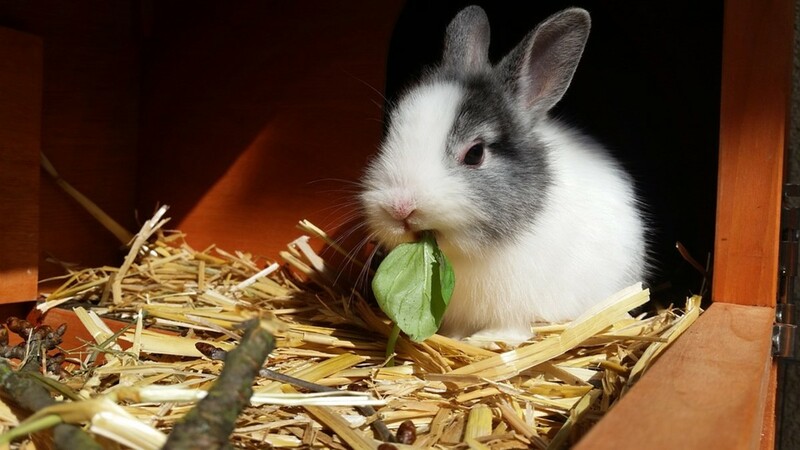 One of the best fresh foods you can give your bunny is green, leafy vegetables. It's important to use rot-free, thoroughly washed items. Offer 3 different types each day, around a cup of greens for every 3 pounds of rabbit. Here are some excellent suggestions. Fruit is not food. View it as a snack that should be sparingly given. The sugars they contain are natural, but they're still not good for your pet. Don't give more than a tablespoon's worth and also, not ever day. Wash fruit thoroughly, remove all peels and seeds, especially from apples (apple seeds are toxic). Raisins, grapes and bananas are allowed, but think twice — these delights are super charged with sugar. The best pellet is Timothy-based with 20 percent-plus fiber content. You might come across bags containing 6 months' worth. Financially, it seems like a good move but health-wise, it's not. 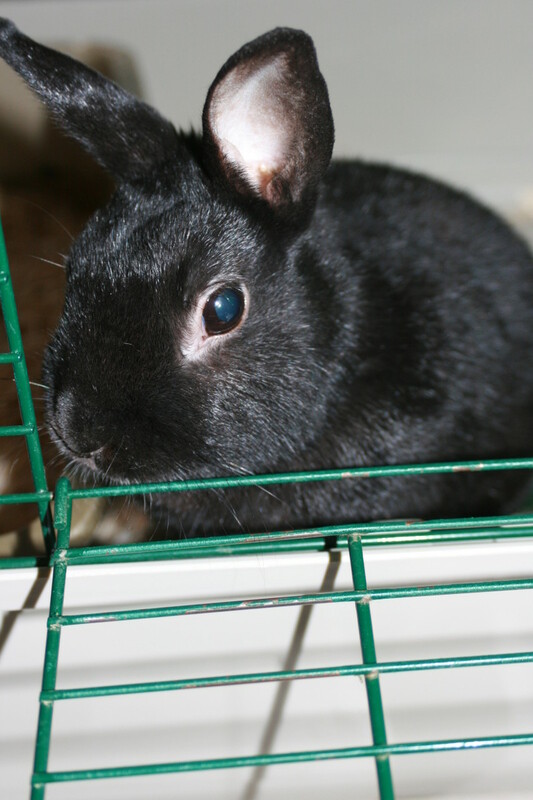 As they age, pellets lose their nutritional value. It's best to buy fresh (check the manufacturing date) on a monthly or bi-montly basis. How much you feed depends on the rabbit's age. 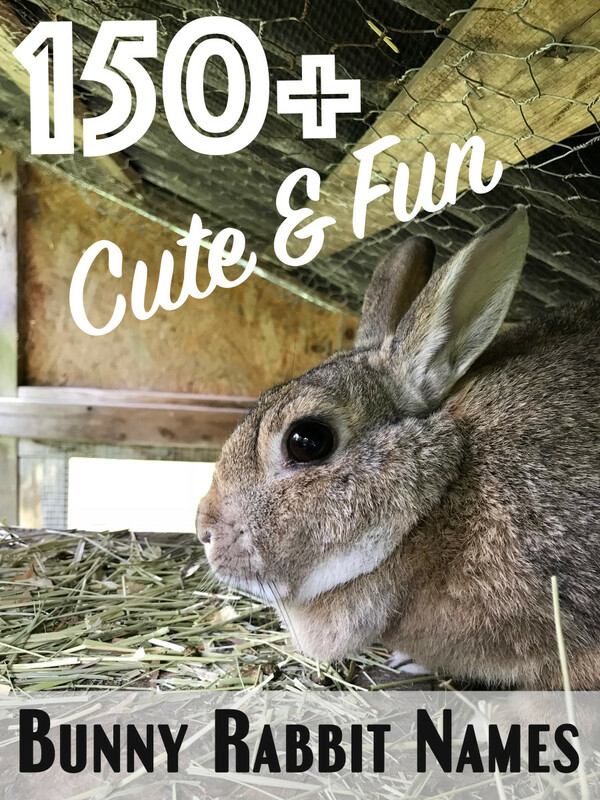 1 year and above: A quarter to a half cup is sufficient (per 6 pounds of rabbit), when your bunny has free access to hay, water and controlled amounts of daily greens. If the animals becomes overweight, lessen the amount of pellets. Overfeeding of pellets and insufficient exercise leads to unhealthy weight gain. Due to a host of health problems, it's critical that your pet avoids obesity. 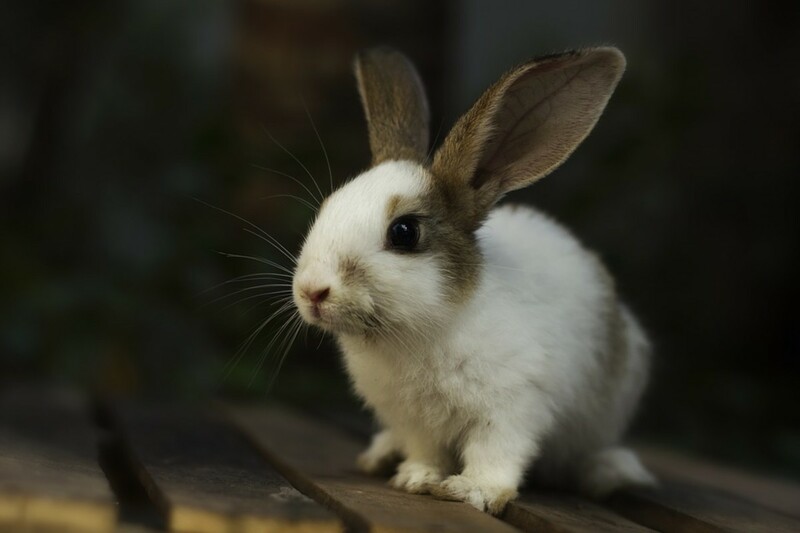 Make sure your bunny remains physically active, but should it get a little plump, lower pellets from 1/8 to quarter cup per 5 pounds of rabbit. Take away fruit and use greens as treats. 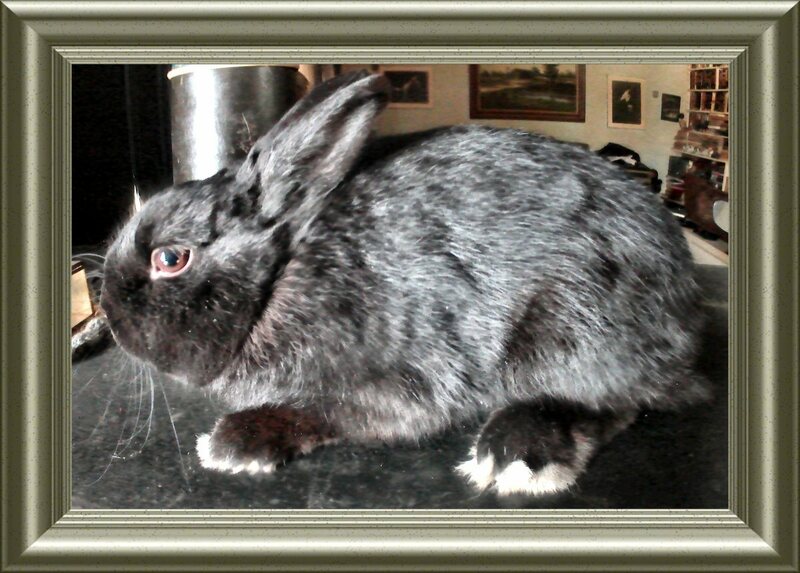 The overweight rabbit can have unlimited hay, but not alfalfa, which is too high in calories. Rabbits enjoy being offered new munchies. Their digestive system might not. They may be mammals, but their internal processes aren't the same as ours. Humans can pig out on something new and often, suffer no ill effect. 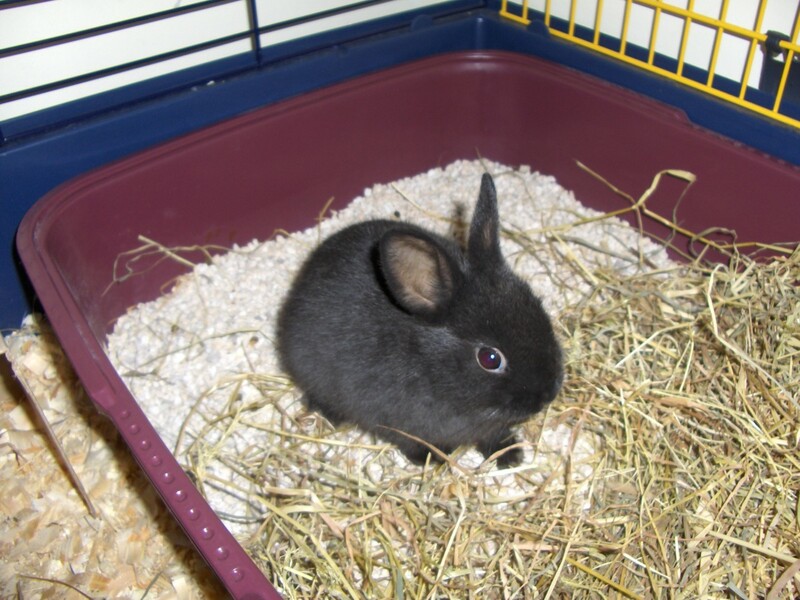 In rabbits, new foods can upset their intestinal bacteria, which causes diarrhea and sickness. Adding variety to your pet's diet is smart, but introduce one new food at a time. 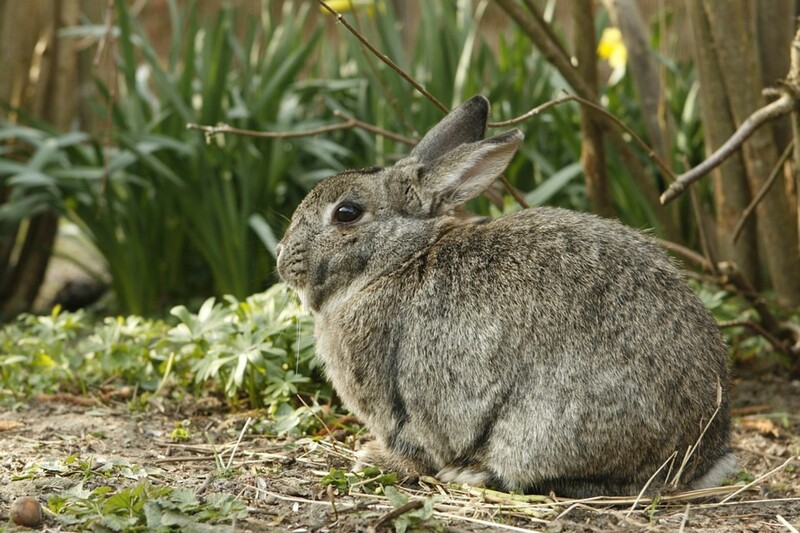 Giving small quantities, monitor the rabbit's stool for a week to make sure its digestive system is coping. Hay, fresh foods and water are nutritionally sufficient. When a rabbit enjoys a balanced diet, it doesn't need supplements. Adding them could lead your pet to overdose on certain vitamins and minerals, leading to dangerous illness. Also, avoid these toxic foods.